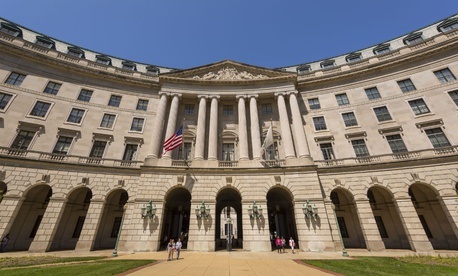 The Environmental Protection Agency is paying employees above their legal salary caps without the required justification, according to a new report. Nearly 75 percent of EPA employees at the agency’s region 10 based in Seattle, Wash., who were paid above the statutory biweekly cap in fiscal year 2015 through Jan. 7, 2017, did not request the necessary waiver to do so, the agency's inspector general found. In the 15 cases in which employees did seek the waiver, only one received the requisite approval from the region’s human resources office. The regional administrator signed off on the premium pay in those 15 cases, but in only four of them did the waivers provide appropriate justification for the special pay rate. General Schedule employees are limited by statute to receive a maximum biweekly pay of the higher of top GS-15 step or Level V of the Executive Schedule. The law provides for exceptions in cases of emergency or for mission-critical work. EPA’s own policy allows for cap breaches during a disaster that jeopardizes life or property, but makes no mention of the mission-critical exception. If the incident occurs in a specific region, a deciding official must submit a Natural Disaster Emergency Designation form to HR before an employee can receive the premium pay. The IG said the region did not have an internal process to review the propriety of the inflated pay, meaning employees could have received it without merit. EPA headquarters failed to track the cases of employees exceeding their pay caps, the IG found, with two different offices denying responsibility for the oversight. “The potential exists that Region 10 employees could be overpaid or be paid for work that does not meet the intent of premium pay requirements,” the IG said. The auditors launched their investigation after someone submitted a tip to their hotline. They issued preliminary findings through a management alert, though their audit is ongoing. Based on its initial discoveries, the IG plans to expand its investigation to other regions and EPA headquarters. Agency management said all the cases involving premium pay did not require a waiver, but added it is working with Region 10 to update its procedures.